This is Minister Donohoe’s first budget and his speech concentrated on expenditure measures rather than tax changes. Apart from the well-heralded modest changes to the USC and the tax bands, it will be interesting to see the impact of this budget on the property sector and whether it will offer up any clues on how this Government might assist businesses in dealing with the impact of Brexit, the potential changes in US trading policy and the various geopolitical threats in the world. Should you have any taxation or business questions, our experienced team will be happy to share their insights with you. The higher tax rate will remain at 40% for 2018. The entry point to the higher rate of tax for single earners has increased from €33,800 to €34,550. The USC has been cut for lower and middle income earners. The 2.5% and 5% rates have been reduced by 0.5% and 0.25% respectively. The entry threshold for USC will remain at €13,000. However, there has been an increase in the 2% band threshold from €18,772 to €19,372 to benefit employees earning the minimum wage. Medical card holders and individuals aged 70 years and over whose aggregate income does not exceed €60,000 will now pay a maximum USC rate of 2%. The 11% rate will continue to apply for self-employed income over €100,000. The DIRT rate for 2018 will be charged at 37%. The home carer credit will increase from €1,100 to €1,200. The €7,200 income threshold remains. Mortgage interest relief was scheduled to be abolished with effect from the end of 2017. However, it will now be gradually phased out between 2018 and 2020. The relief, which is only available on qualifying mortgages taken out between 2004 and 2012, will be reduced to 75% in 2018, 50% in 2019, 25% in 2020 and will be unavailable thereafter. Expenses incurred prior to the letting of a property are not generally deductible against taxable rental income. The Minister has announced a limited relaxation of this restriction in order to encourage the release of vacant properties into the rental market. This relaxation will only apply to residential property. Between now and the end of 2021, pre-letting expenses of a revenue nature, up to a maximum of €5,000 per property, will be deductible if the property has been vacant for a period of 12 months or more prior to being rented. The relief will be subject to clawback if the property is subsequently withdrawn from the rental market within four years. It should also be noted that following a change included in last year’s Finance Act, the amount of mortgage interest that can be deducted against taxable rental income from residential property will increase from 80% to 85% with effect from 1 January 2018. The Minister has announced that a comprehensive review of BIK on motor vehicles (of all kinds) is to take place, which will inform decisions in this area for next year’s Budget. In the interim, a temporary 0% rate of BIK is being introduced for electric cars and in respect of electricity used at work for charging such vehicles. The monthly threshold for the drugs payment scheme is being reduced from €144 to €134 per month. 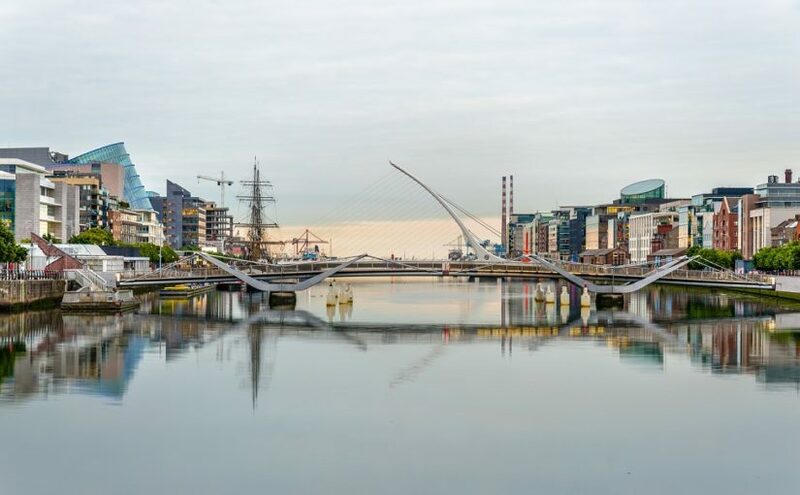 As in previous years, there is a firm commitment given to retain the 12.5% corporation tax rate as a key part in Ireland’s strategy to attract foreign direct investment. As a result of changes in the training levy, employer’s PRSI will increase to 10.85% in 2018, proposed 10.95% in 2019 and 11.05% in 2020. A tax deduction for capital allowances on intangible assets and any associated interest cost will now be limited to 80% of the relevant income arising from the intangible asset in the accounting period. This is a new scheme aimed at improving the ability of SMEs to attract and retain key staff. Where an SME grants share options to employees between 1 January 2018 and 31 December 2023, gains from exercising these options will be taxed at a CGT rate of 33% rather than being subject to income tax, USC and PRSI at rates of up to 52%. The tax becomes payable when the shares are sold. The current scheme is being extended for a further three years to the end of 2020. The Minister introduced a VAT compensation scheme in order to compensate charities for VAT incurred on expenditure. This scheme will take effect from 1 January 2018 but will be paid one year in arrears (i.e. some element of VAT costs arising in 2018 may be reclaimable in 2019). Charities will be entitled to a refund of a proportion of their VAT costs based on the level of non-public funding they receive. The Minister also confirmed that a capped fund of €5 million will be available to fund the scheme in 2019. The reduced VAT rate of 9% for goods and services, mainly related to the tourism and hospitality industry, will remain for 2018. In accordance with the Government’s National Cancer Strategy, the 13.5% VAT rate applicable to sunbed sessions will increase to the standard 23% rate of VAT. The relief on certain disposals of land or buildings previously known as the 7-year CGT relief has been relaxed and disposals of qualifying assets between years four and seven post-acquisition are now exempt. Stamp duty rate of 1% continues on inter-family farm transfers for a further three years. Continuation of stamp duty exemption for young trained farmers on agricultural land transactions. Agricultural land placed under solar infrastructure will continue to be classified as agricultural land. In order for CAT agricultural relief and CGT retirement relief to apply, no more than 50% of the land holding can be used for solar infrastructure. Increase from 2% on commercial property to 6% with effect from midnight 10 October 2017. A stamp duty refund scheme is to be introduced for commercial land purchased for the development of housing, subject to conditions to include the development occurring within 30 months of the purchase of the land. In line with an extensive public consultation process undertaken by the Government, two rates of sugar tax will be introduced in Ireland with effect from 1 April 2018, subject to State Aid approval. The rates are 30 cent per litre on drinks with in excess of eight grams of sugar per 100 millilitres and 20 cent per litre on drinks with between five and eight grams of sugar per 100 millilitres. Drinks with less than five grams of sugar attract no sugar tax. Increase from the current 3% levy in the first year to 7% in second and subsequent years to encourage land owners to develop vacant sites. An owner of a property on a vacant site register who does not develop their land in 2018 will be liable to the 3% levy in 2019 and a further 7% levy in 2020 and each year thereafter until the land is developed. A new Brexit loan scheme has been introduced by the Minister to assist SMEs with the impact of Brexit over the coming years. A loan scheme of up to €300 million will be made available to SMEs at competitive rates, with particular focus on the food business industry given the sector’s close links to the UK market. This new loan scheme intends to provide SMEs with time to develop and change as necessary so that they can continue to grow their businesses in the post-Brexit market. The hiring of an additional 40 staff members across the Department of Business, Enterprise and Innovation and agencies in 2018 has been announced. Their main focus will be on realising and responding to opportunities and challenges arising from Brexit. Funding for the Department of Agriculture, Food and the Marine will be increased to €64 million. Of this, €25 million will be provided to develop further Brexit loan schemes for the agrifood sector, separate to the Brexit loan scheme mentioned above. These measures aim to strengthen the sector’s ability to meet the challenges of Brexit. We await with interest the content of the upcoming Finance Bill, which is to be published on 19 October 2017 and will contain the technical details of the measures announced today and no doubt some further tax provisions.